The Foxboro IMT96 MagEXPERT Magnetic Flow Transmitter is a significant advancement in magnetic flowmeter technology. When combined with a 2800 Series Magnetic Flowtube, it provides a reliable solution to the most noisy flowmeter applications such as High Consistency Pulp Stock, Slurries, Chemical Additives, and Pulsating Flow. The MagEXPERT uses the Foxboro's patented eX-Pulse coil excitation method to create a strong measurement signal, coupled with optimum noise reduction capability and fast speed of response. Started by an young engineer, Mr. Girish Deshpande more than a decade ago in 1995, with an objective of providing the latest products with the state of the art technology & our expert quality services to the various sectors of the industry. 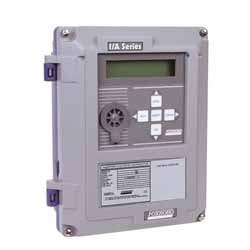 Our area of operation is in Process Control Automation, Factory Automation, design & manufacturing of controls systems & panels systems & field instruments/sensors.